This course is for the novice user who has little or no experience with Microsoft Excel. We will begin by learning about the parts of the Excel interface, including the Title Bar, window control buttons, Office button, and more. 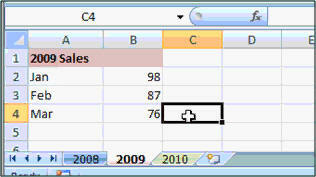 Again, this is the perfect class for anyone who is new to Microsoft Excel 2007. If you have little or no experience with spreadsheets, or you just want to get familiar with how Excel 2007 works, this class is for you. 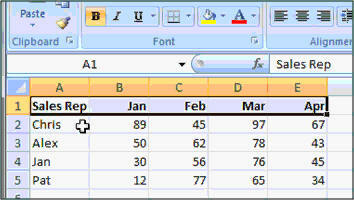 You should have some basic knowledge of Windows beforehand, and a little bit of Microsoft Word helps (so you're familiar with formatting text), but we'll teach you everything you need to know to use Excel to make simple spreadsheets.